If you are a Disgaea fan, but for some unknown reason you skipped the PS3 titles, then today you get to vindicate that error. 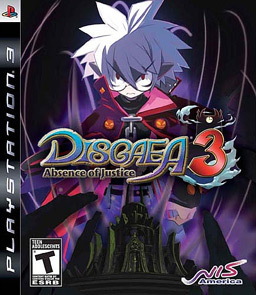 For $39.99 you get Disgaea 3: Absence of Justice, Disgaea 4: A Promise Unforgotten and Disgaea D2: A Brighter Darkness all on a single disc! 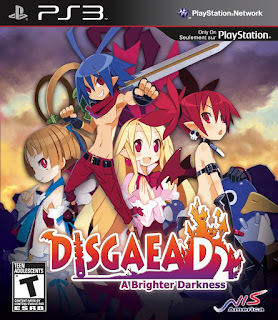 If you haven't played a single Disgaea game, but enjoy Japanese Strategy RPGs, then this is a good place to start. 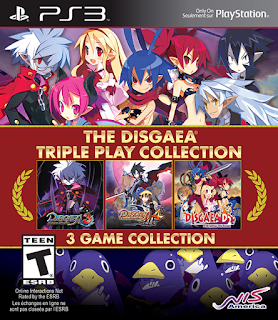 Santa Ana, Calif. (September 15, 2015) — Arriving just in time to get you caught up on the Disgaea universe before Disgaea 5: Alliance of Vengeance hits shelves, The Disgaea Triple Play Collection is now available in North America exclusively on the PlayStation 3! 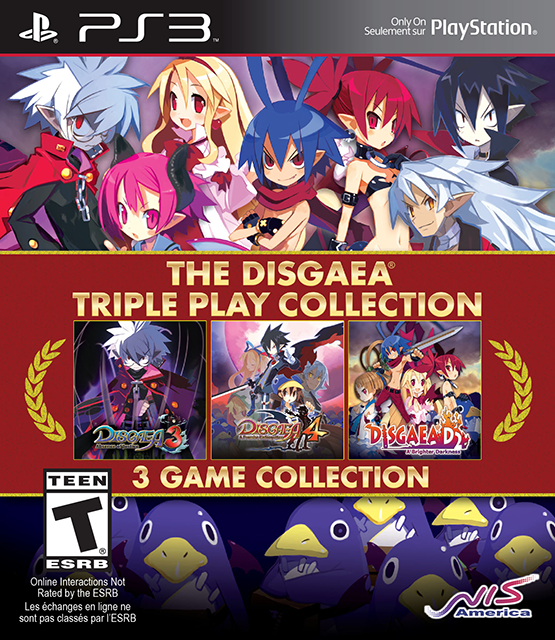 This incredible collection contains Disgaea 3: Absence of Justice, Disgaea 4: A Promise Unforgotten, and Disgaea D2: A Brighter Darkness, all on one glorious disc! When the son of the Overlord steals a fake hero's title, an all-out brawl for Evil Academy supremacy breaks out! Who will arrive victorious: The aspiring freshmen, the refined sophomores, or the mythical seniors? Fight it out, for the sake of the Netherworld! In Hades, the Netherworld's prison, Valvatorez, a Prinny Instructor, leads an uprising against the Corrupternment to fulfill a promise and usurp the current regime. 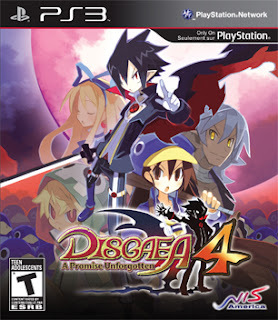 With his Werewolf steward, Fenrich, the Netherworld President's son, Emizel, the Unprinny, Fuka, the future Final Boss, Desco, and the mysterious Thief Angel, he is ready to correct the stagnation of the demons in charge.